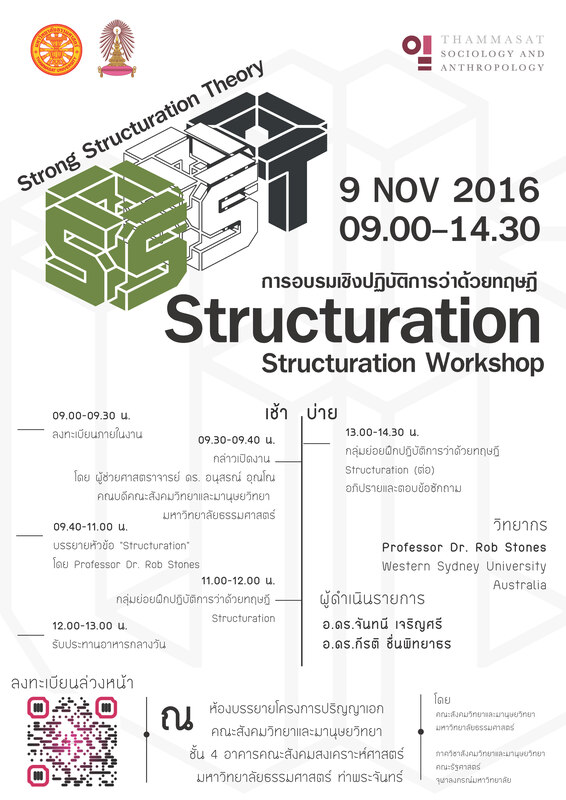 Rob Stones is Professor of Sociology in the School of Social Sciences and Psychology at Western Sydney University, Australia. The originator of strong structuration theory (SST), his books include Why Current Affairs Needs Social Theory (2015) Structuration Theory (2005), and Sociological Reasoning (1996). A third expanded edition of his edited volume, Key Sociological Thinkers (2nd edition 2008; 1st edition 1998), will be published in February 2017. ‘Social Theory, Current Affairs, and Thailand’s Political Turmoil: Seeing Beyond Reds vs. Yellows’ Journal of Political Power (2012 – with Ake Tangsupvattana). He is the editor of two book series for Palgrave Macmillan, Traditions in Social Theory and Themes in Social Theory, and of a new short-book series for Anthem Press, Successful Societies. He is a member of the editorial team for the Journal of Sociology, the journal of the Australian Sociological Association. Bryant, C.G.A. and Jary, D. (2011), “Anthony Giddens”, in: Ritzer, G. and Stepnisky, J. (Eds.) The Wiley-Blackwell Companion to Major Social Theorists, Wiley-Blackwell, Malden.